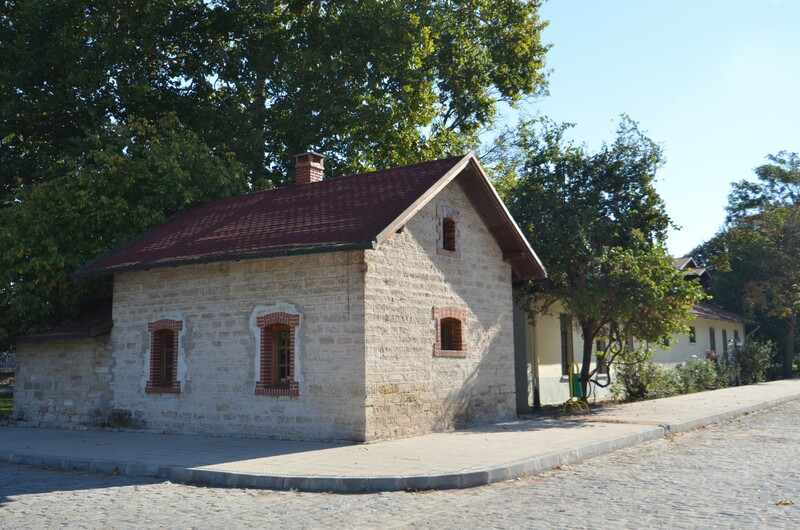 Although Karaağaç is administratively governed by the municipality of Edirne, its exceptional location and distance from the centre of the city make it look more like a separate town. The settlement was built on a regular grid of streets, lined with majestic trees, alongside historical houses. 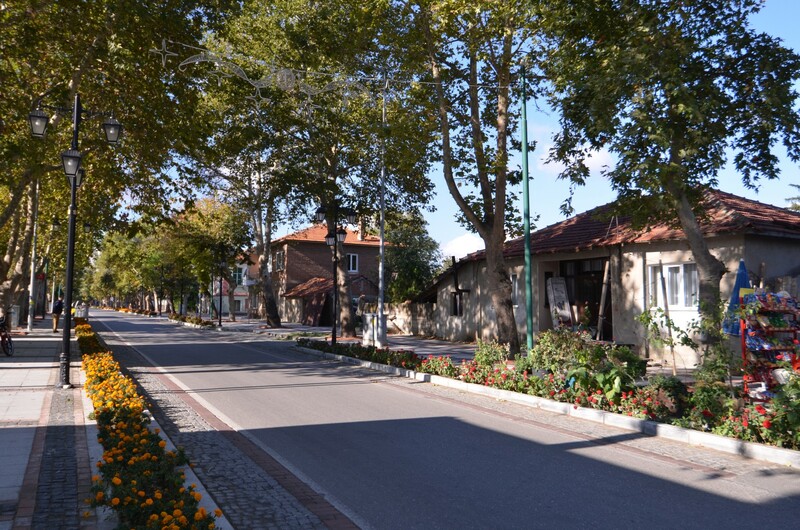 The name Karaağaç means an elm and perfectly reflects the look and atmosphere of this peaceful district. During the Greek occupation (1920-1923), the town was called Orestias, commemorating an ancient settlement located near Edirne. Orestias is thought to have been the same town as Uscudama or Odrysa, which was supposed to be the first Odrysian capital. The uniqueness of Karaağaç is due to its location on the west bank of the river Marica (tr. Meriç). Marica's waters mark the border between Greece and Turkey, except for the Karaağaç area. It is the only Turkish bridgehead on the western bank of the river. The extraordinary status of Karaağaç was obtained by the Treaty of Lausanne, concluded in 1923. Under this treaty, Greece provided the area of ​​Karaağaç to Turkey as a compensation for war damage. On a clear day, take a stroll from the centre of Edirne to Karaağaç. The walk leads from Saraçlar Street to the southwest. 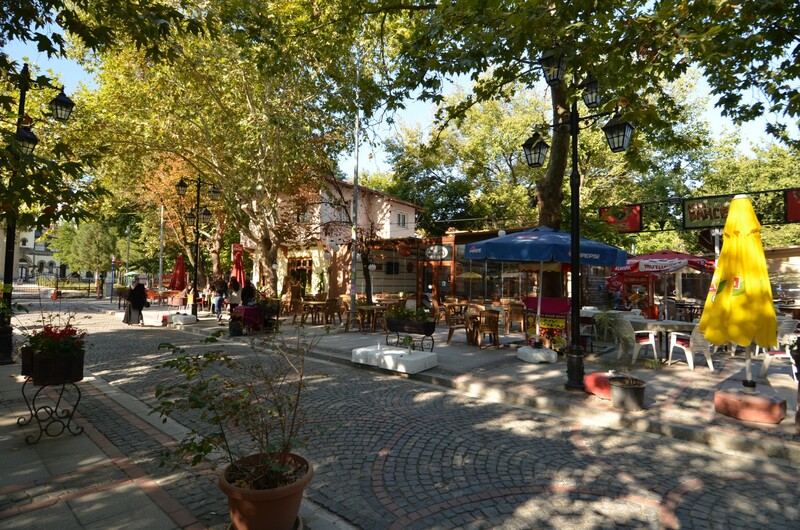 At the southern end of Saraçlar Street, there is the area where a lively bazaar is held on Fridays. Later you have to cross the railroad tracks. Behind the tracks, cross Tunca River on the historic Ekmekçioğlu Ahmed Pasha Bridge, built between 1607 and 1615. 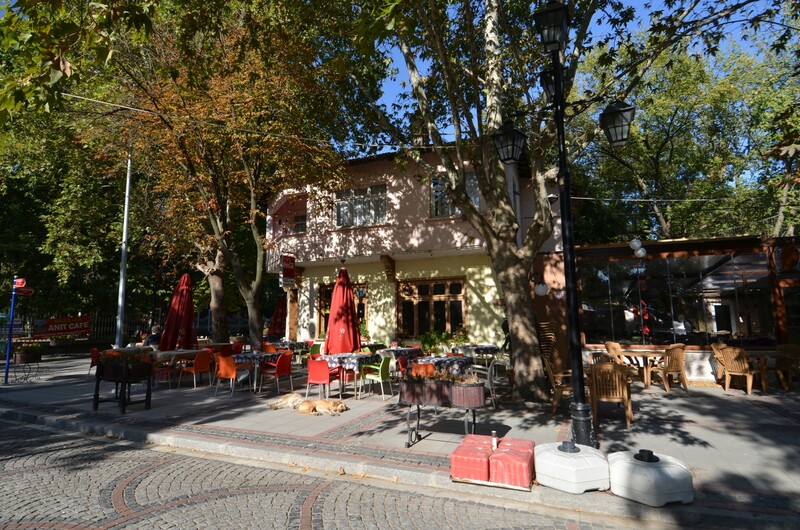 In the area, between the rivers of Tunca and Marica, there is a recreation area, with many restaurants, pubs, and cafes. Next, it is necessary to cross Marica River, on the Meriç Bridge, built in the 19th century, and also called the New Bridge. 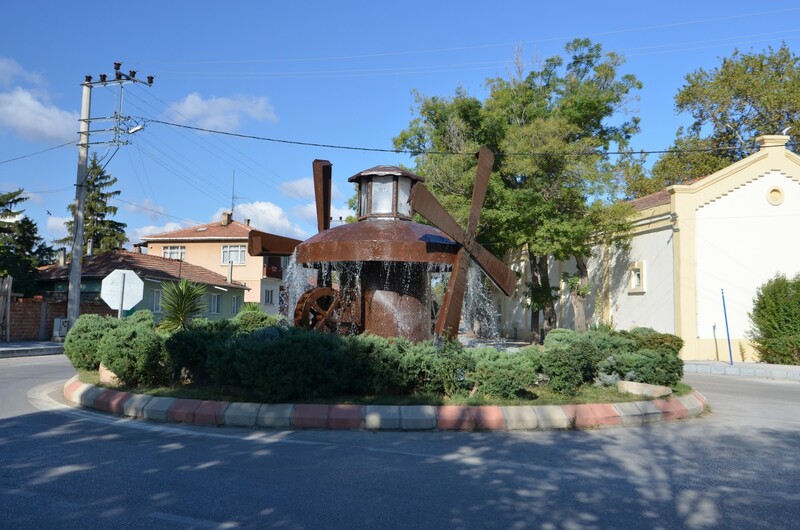 After crossing over the bridge, you will find the historical fountain of Hacı Adil Bey, governor of Edirne. The monument to his memory was built in 1904. Behind the bridges, the road called Karaağaç Yolu turns slightly to the west and leads through an undeveloped terrain. 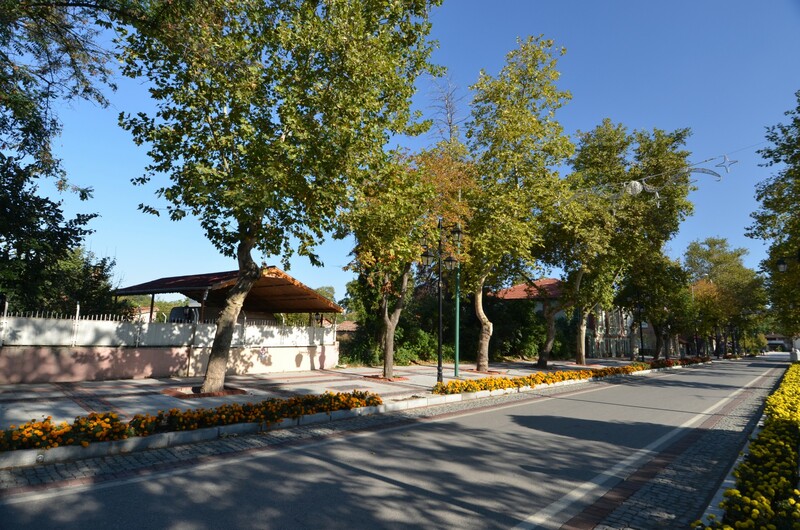 On the left side, there is the urban forest called Söğütlük, which is a popular holiday destination among the inhabitants of Edirne. 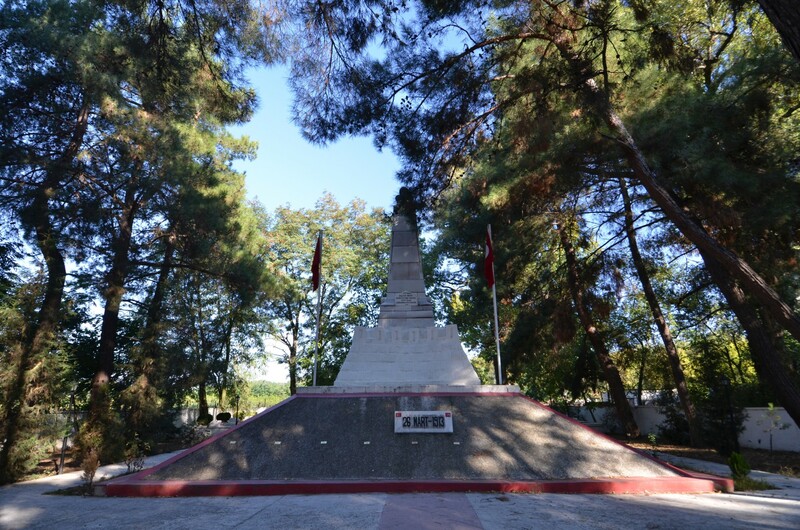 Just before Karaağaç, there is a small cemetery in the woods, in the centre of which stands a monument commemorating the victims of the Balkan Wars (tr. Balkan Savaşı Şehitleri Anısı). The total length of the walk from central Edirne to Karaağaç is 3.5 kilometres. There are two important places to visit in Karaağaç. 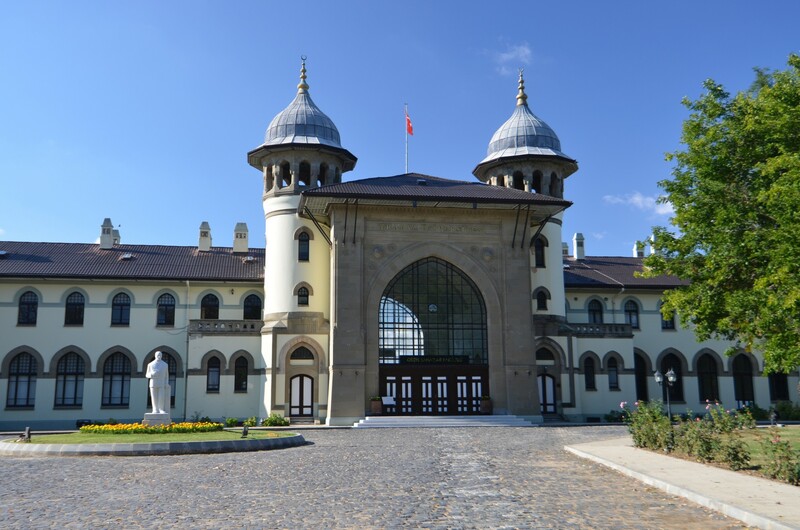 The first one is the building of the former railway station, erected in the late Ottoman style in 1890. Formerly, it was the last railway stop in Turkey before the border. Among the trains that stopped there, was the famous Orient Express. 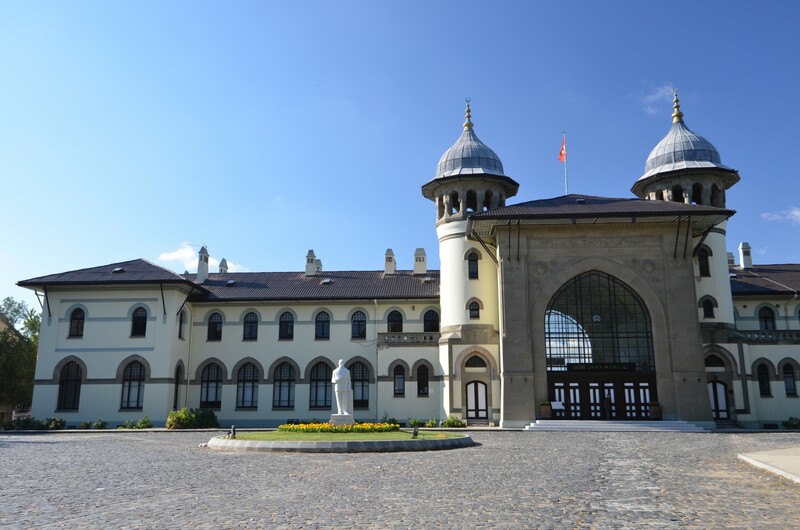 In 1971, a new railway station was built, closer to the centre of Edirne, and the former building lost its function. 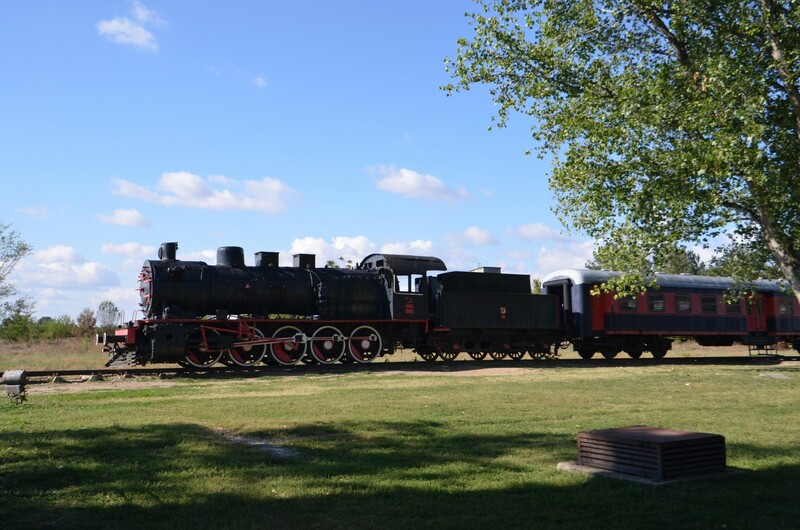 A steam engine, standing behind the building serves as a souvenir of its past glory. 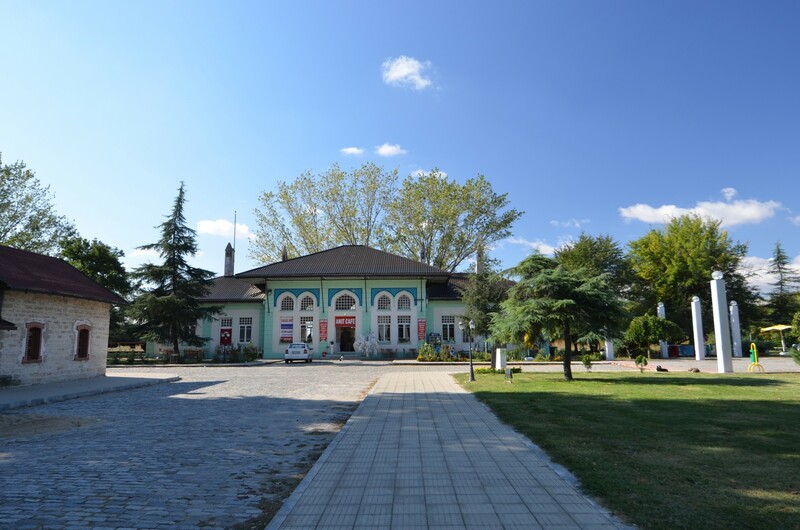 In 1998, the old railway station in Karaağaç was handed over to the University of Trakya (tr. 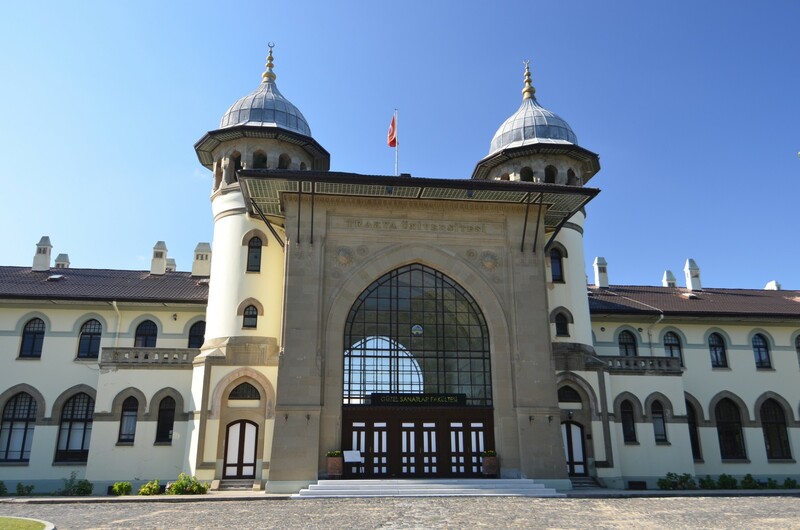 Trakya Üniversitesi). Initially, the university authorities transformed the building into the seat of the rectorate and then passed it to the Fine Arts Department. 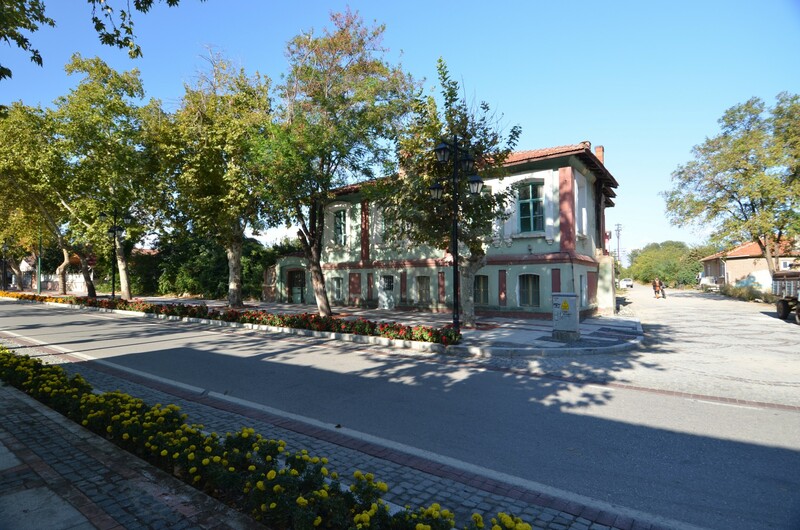 Admission to the Karaağaç campus is free. 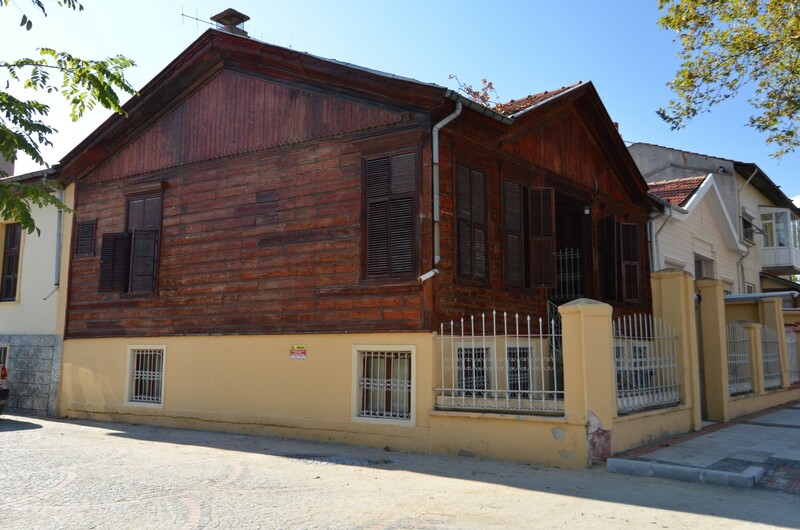 On the campus of Karaağaç, there is also the second tourist attraction of the town. 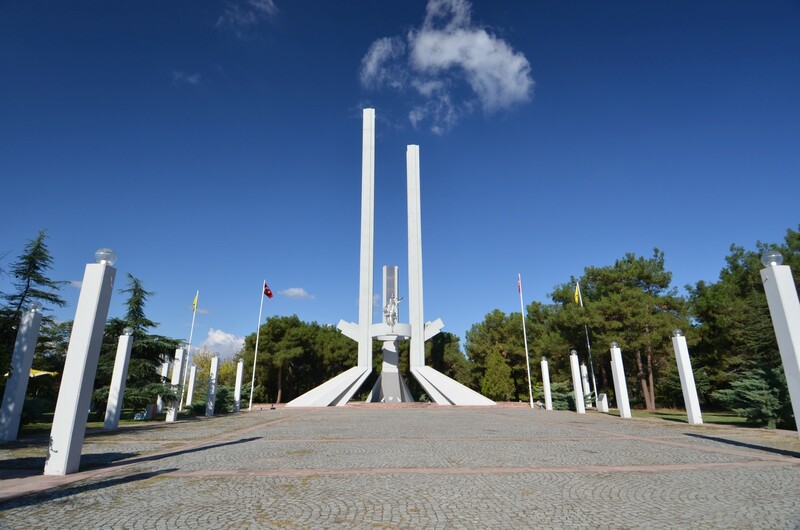 It is a monument commemorating the signing of the Treaty of Lausanne, called Lozanian Monument (tr. Lozan Anıtı). 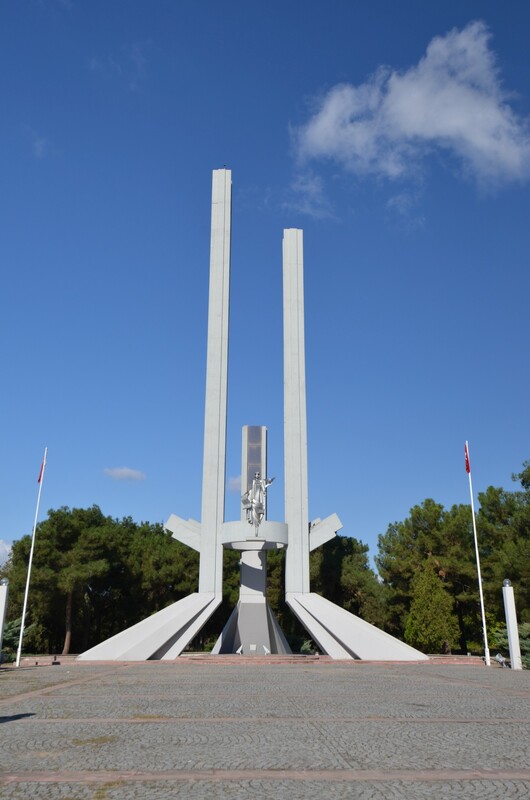 The memorial is in the form of three metal pillars, of which the highest one, rising to 36.45 meters, symbolizes the Asian part of Turkey, the medium one, 31.95 meters high, the European part of the country, and the shortest one - 17,45 meters - the Karaağaç area as the only part of Turkish territory on the western bank of the river Marica. Between the columns stands a woman figure, holding in one hand a sheet symbolising the Treaty of Lausanne, and in the other hand - a dove as a symbol of peace and democracy. The semicircle on which the monument stands signifies the seas that surround the territory of Turkey. 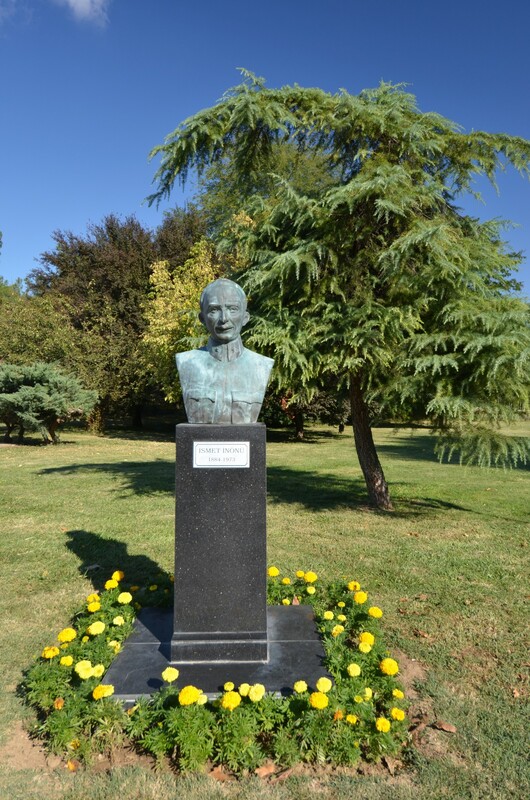 The bust of İsmet İnönü who negotiated the terms of the Treaty of Lausanne stands in front of the monument. 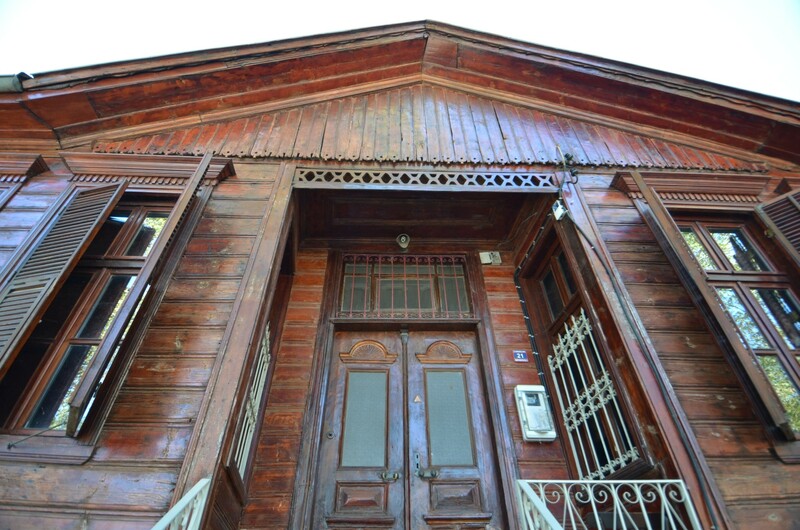 In addition to the station building and the monument in Karaağaç, you can spend some time walking through the streets and watching traditional wooden buildings. 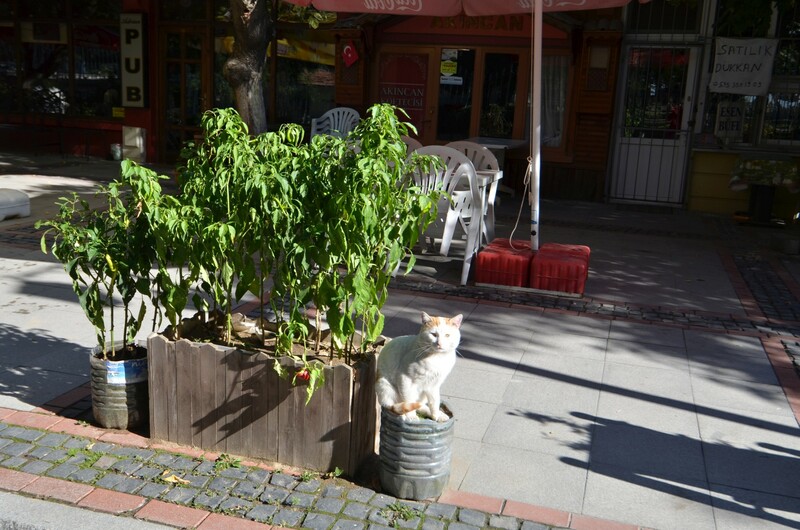 You can stay in one of the cafes opposite the University of Trakya. Public transport: The centre of Edirne is connected by bus and dolmus to Karaağaç. Taxi: a taxi ride from the centre of Edirne to Karaağaç costs about 10 TL. Border crossing: In Karaağaç there is a border crossing to Greece, called Pazarkule - Kastanies. This crossing is an excellent alternative to the frequently crowded border crossing with Bulgaria in Kapıkule.